Men are my preference. Follow my journey. : My 2 Pence: Soulja ^4 Boy? 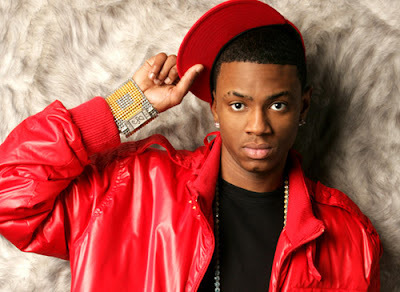 Is Soulja Boi bisexual? Well that is what a member of twitter would like you to believe. Check out this video via Bossip of a boy claiming to have chatted it up with Soulja Boy. I can't help but think this is a publicity stunt to promote his album. Projections show that he is set to move somewhere in the region of 15,000 first week, so a la Keri Hilson, why not get a viral video popping to get your name in people mouths? I mean if you were going to go an expose, would you go to the trouble of placing a backing track on video and other skilled editing or would you just point the camera at the evidence? That being said though, if to be believed this video just reinforces an unspoken stereotype among DL and discreet guys that openly gay people cannot be trusted. What did the boy have to gain by putting his face and Soulja Boy's out there like that? What if Soulja really is dealing with bisexual emotions yet isn't in a mental place to be able to deal. If its a stunt then Soulja Boy's PR team are whack. Similiar if there is truth to this then the boy was lame for doing what he did.